Prices are In US dollars and are subject to change without notice. 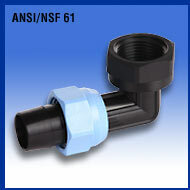  Certified by CSA for potable water under ANSI/NSF 61.  No heating of pipe required.